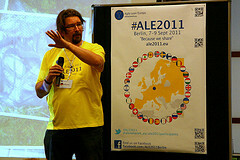 I’m back from the amazing #ALE2011 unconference. A week ago we still didn’t know if it will really work. The five months of preparations were a great journey for the organisers. Now was the time to see what we would all experience as participants. I can tell you now. It worked; It worked well. In fact, it rocked! It was simply amazing. Feedback was coming thick and fast from all directions and it was good. People from all around Europe were finding in Berlin what they often couldn’t find in their local communities. They came to grow their network; our network. I hope other conference organisers are looking and will decide to pick some of the ideas turning this crazy event into a leader. 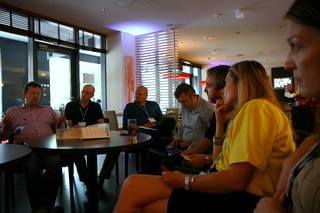 For me, personally, the experience of meeting all the people in Berlin, I was so eagerly waiting for, was amazing. It’s not often that I go to meet two hundred people, most of whom I never seen before, and feel that I can immediately start a friendly and enthusiastic discussion. Some of the people I met, for the first time in my life, felt like really close friends! I wasn’t expecting that. Feature Injection – I have read about it before, and knew of the concept but to hear it explained from the horse’s mouth (or rather Father Christmas’s mouth) gave me a new perspective and a much deeper understanding. The idea of looking at analysis as going in the opposite direction to development in the feedback cycle is just genius. You have to see that circle drawn by Chris. Unlimited Warranty – in his lightning talk Yves encouraged us to give to all our customers unlimited warranty so that they can get in touch and get help and answers from us after we’ve done our assignment – forever. I love the idea. Yes I’ll be doing that. I think I’m actually doing that and now I will also be conscious of it and explicit about it. 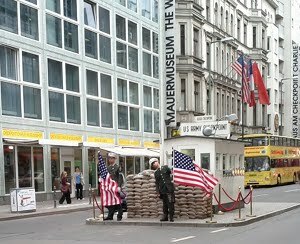 As it happened, our venue was very close to Checkpoint Charlie. I only realised this when we went for a short walk with Franck to print some missing materials. I thought it was interesting but only realised the full significance of the fact after Oana wrote about it. Damn right! We couldn’t have chosen a better location for the first ALE conference. I was in Berlin as a child, when the wall was still standing. I couldn’t cross. I lived on the other side. If it was still there, I wouldn’t be allowed to meet our “Token American” let alone follow some ideas created ten years ago in USA. It really moved me, we are so lucky that we can freely share our ideas and I’m proud to have been able to take a small part in facilitating it. Oh yes, we did have fun and I’m so glad I can be part of this merry crowd. Fully agree on the close friends! Thank you for helping make it happen for people like me. It was fun.